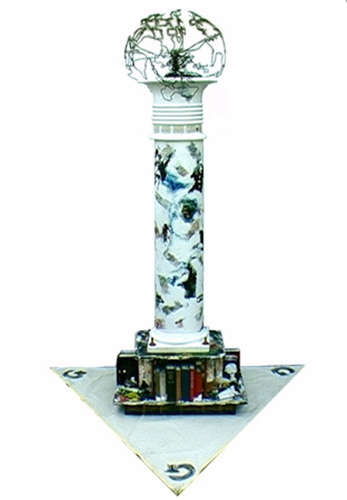 This column represents the art of civilization throughout the wars of the centuries, invented first by Egypt, then Greece, Europe, USA, and even in Haiti, etc. The sculpture tells the story of war, with Napoleon marking the years of the sword all the way up to the new high tech soldier. All the while our good friend the baboon is madly ironizing that humans with the gift of consciousness are behaving like apes.